DoodleArt takes colouring to a new level! This, Babyologists, is all you need for some serious colouring action! DoodleArt is designed for older children and I can see why – this would test the concentration levels indeed but look at the artwork it becomes! As each design is coloured in, children (and adults!) will be in awe at the attention to detail involved with each illustration. 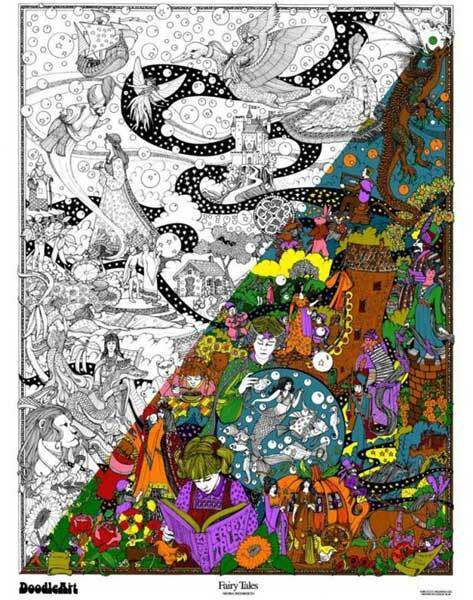 Each DoodleArt poster is of a generous size – 61cm x 86cm and will keep you busy for quite some time. 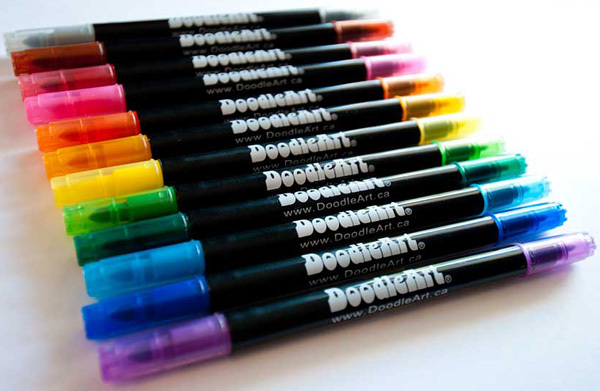 Posters are rolled into a tube for safe keeping and mailing and include a twelve-pack of DoodleArt dual tipped (one end is thick, the other fine), washable markers. There are currently nine DoodleArt poster designs available, you can choose from Aquarium, Bugs and Birds, Butterflies, Fairy Tales, Flowers, Jungle, Pirates, Prehistoric or The Sea. If you’d prefer a smaller project to work on or have siblings that would like to sharethe fun, a Mini Kit of four posters measuring 28cm x 35cm is available. DoodleArt posters and Mini Kits are both priced $29.95 and available from Where Did You Get That?